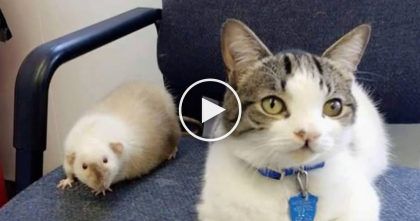 They Thought Their Cat Burned In A House Fire, But When They Learned The Truth… This Story Is AMAZING. 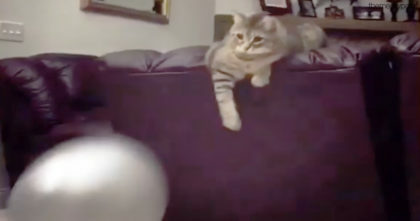 This cat definitely has nine lives because she has used about two of them – just wait until you hear this story! Mao was thought to be dead when the family’s house burnt down and the kitty was nowhere to be found. 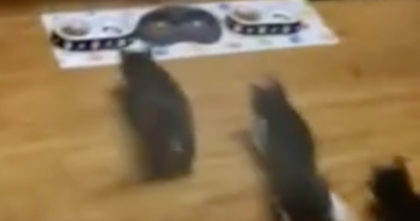 However, it turns out another family nursed Mao back to health only for the kitty to run away again, trying to find his original family. The poor kitty was brought into a rescue location where they checked her microchip. 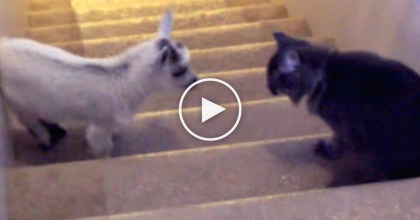 Baby Goat And Cat Meet For The First Time, But KEEP Watching For The Reaction… TOO Funny! 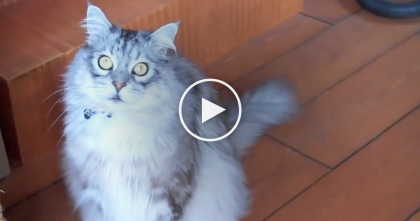 She Says “Can You Say Please” But Watch How The Cat Reacts… This Kitty Is SOOOO Cute! !